Seung-Yoon receives an injury after promoting and practicing with the group. Seems like a pretty serious injury if he’s in a neck brace, but he insists to continue practicing; making his team members worry. Team A is already having a rough start. Team’s B’s also having a rough start because of member Jin-Hwan feeling a little down because of the pressure from the tv series. So the members decided to pull a prank on him. Why that’s supposed to make him feel better, I have idea. But it’s a common thing to do, I guess, in Korea. Joon-Hwae and Dong-Hyuk decided to have an argument. 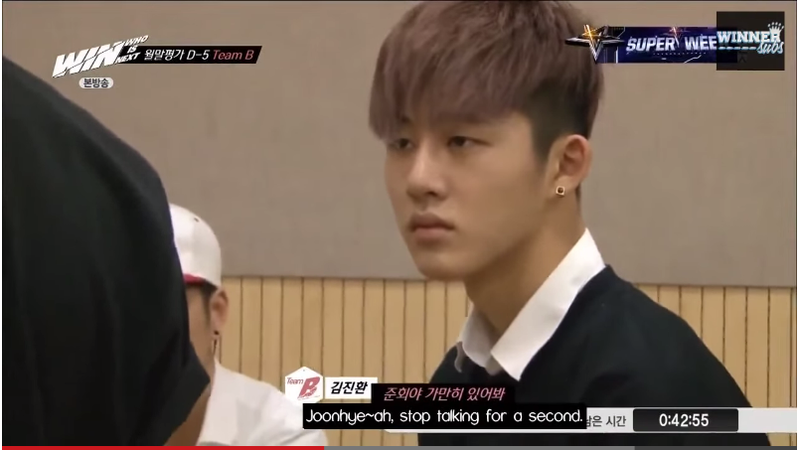 Jin-Hwan looks distresse and tries to settle the argument and even asks the cameramen to stop filming. Dong-Hyuk storms out and Joon-Hwae follows. 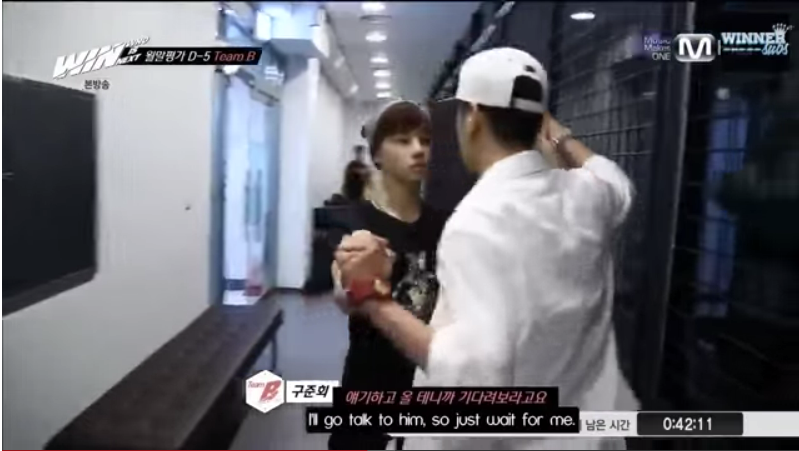 Jin-Hwan follows Joon-Hwae and tries to stop him (last photo). Joon-Hwae insists that he’s going out there just to talk to him. In actuality they’re making fun of him. They both enter and Jin-Hwan is a little confused. Everyone confesses that this was prank and Jin-Hwan is relieved. Dong-Hyuk’s reaction to it is the best. 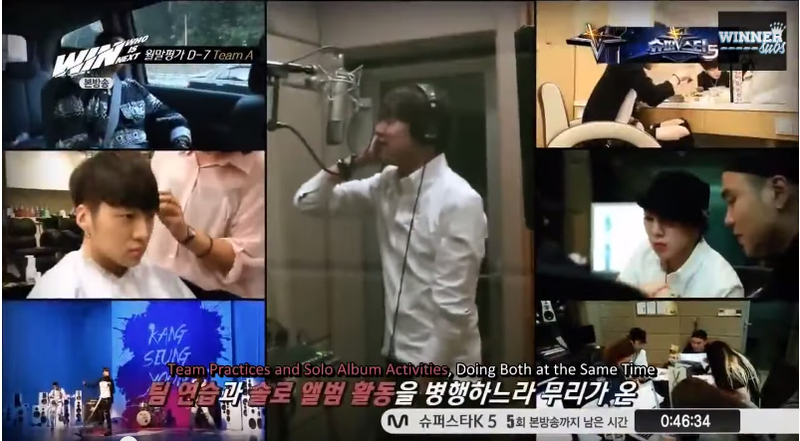 Yoon-Hyung’s imitation of Jin-Hwan was the BEST!!! And all is well in Team B. Not gonna lie, after this whole thing Jin-Hwan is one of my favorites now. He’s like a little puppy. It’s time to prepare for the monthly evaluation. Team A prepares by going shopping and seeing a tarot card reader. And Team B…well I’m not sure what Team B does. But let’s just let Bobby speak for them ㅋㅋㅋ. 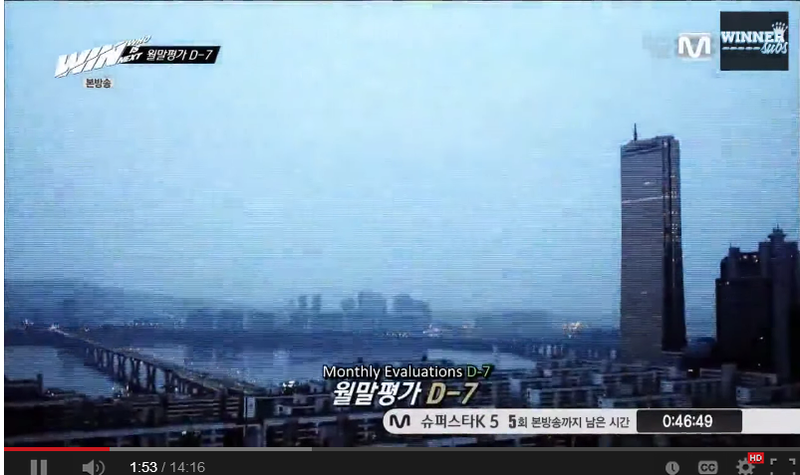 This month’s evaluation has 15 judges that range from regular staff to the likes of Lee Hi and Epik High. Team B performs last and they did a good job too. 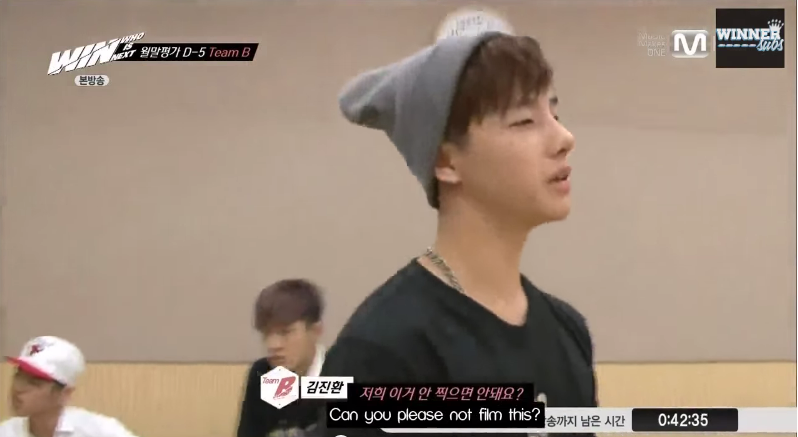 In the end, Team B wins 15-10 with Tablo switching sides to Team B. Lee Hi surprisingly votes for Team A. 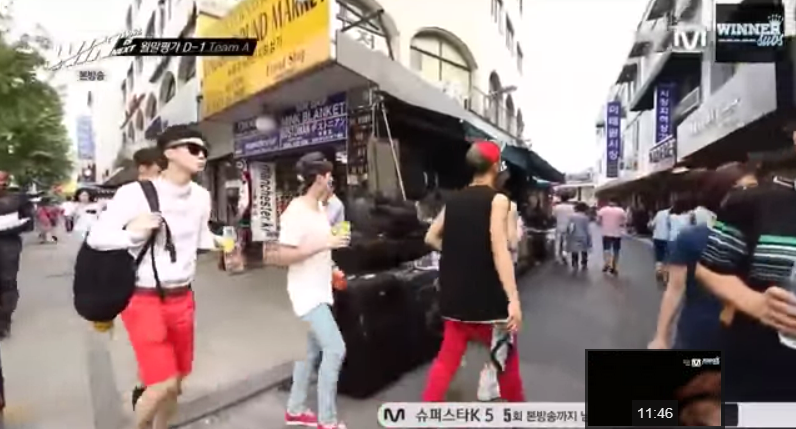 Team B is sent on a vacation (which was foreshadowed in the previous episode); while Team A is sent to practice some more. 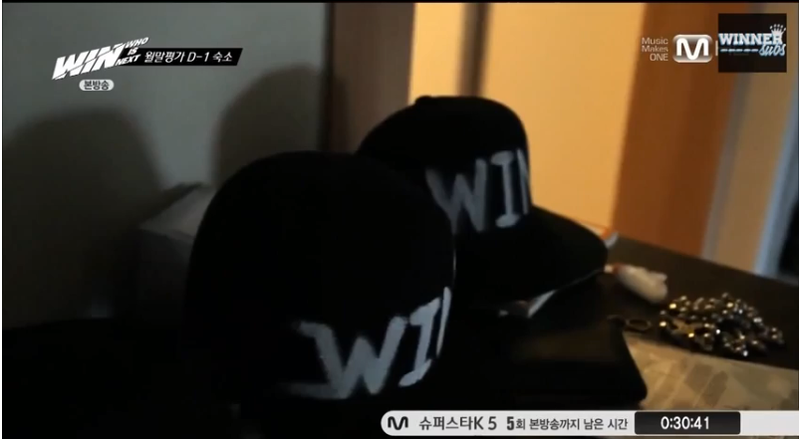 But Team A doesn’t go empty handed (?). 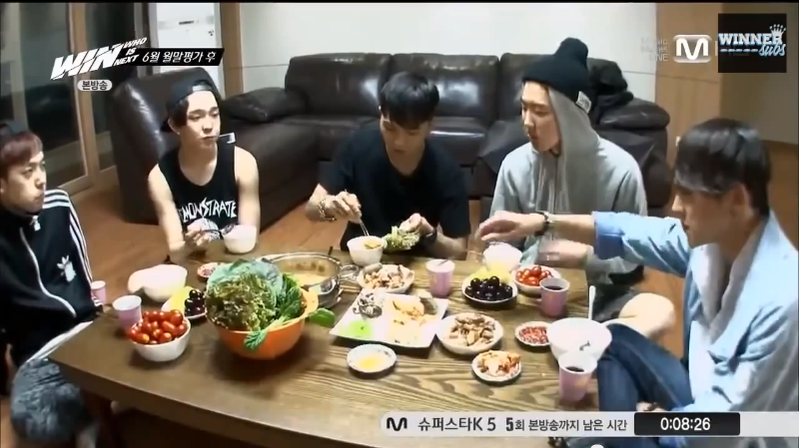 They get a specially prepared meal from Papa YG with a supporting message. You can never go wrong with food. I personally would love this kind of support, HA! We still have a few more episodes to go. Who will be the WINNER in the end? I really liked both teams performances during the evaluation. But I found myself enjoying Team A’s more because they have the better vocals. 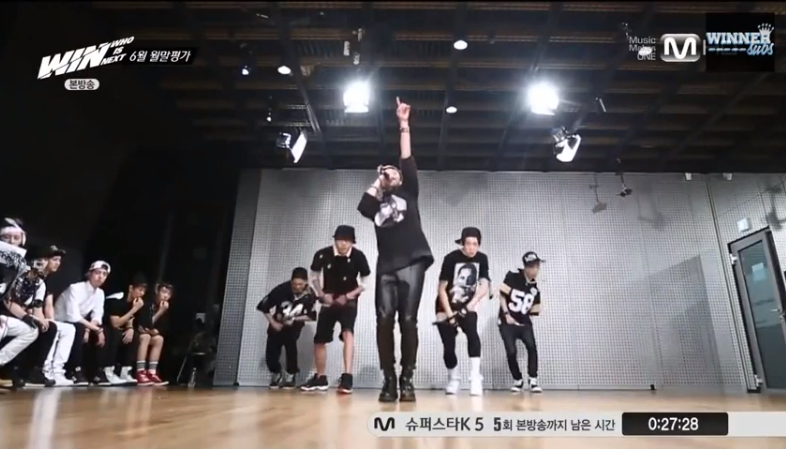 I feel like their vocals fit their song more compared to Team B’s. 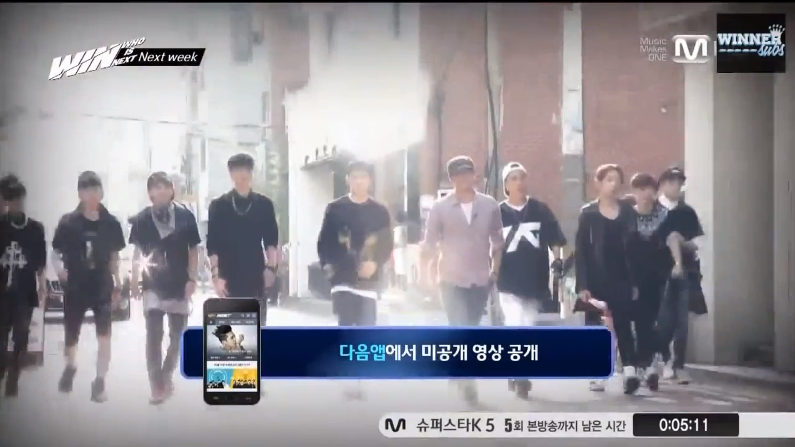 Team B had a very upbeat kind of song which I think covered for their vocals. 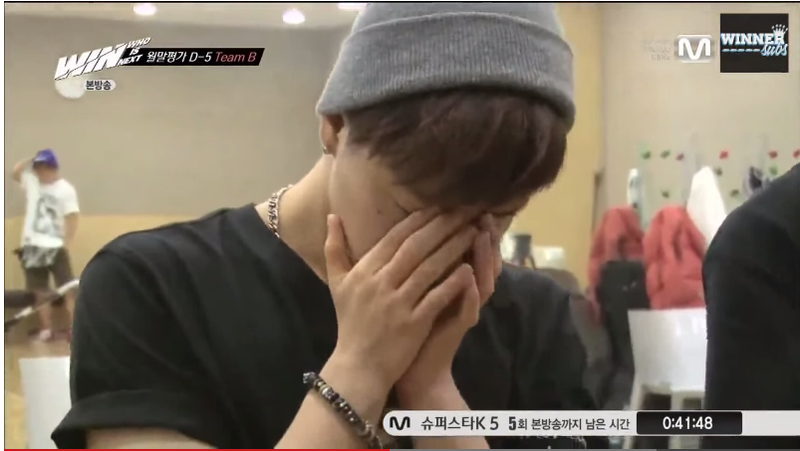 When you think about Team B’s song it matches them very well. They did really well in that aspect. 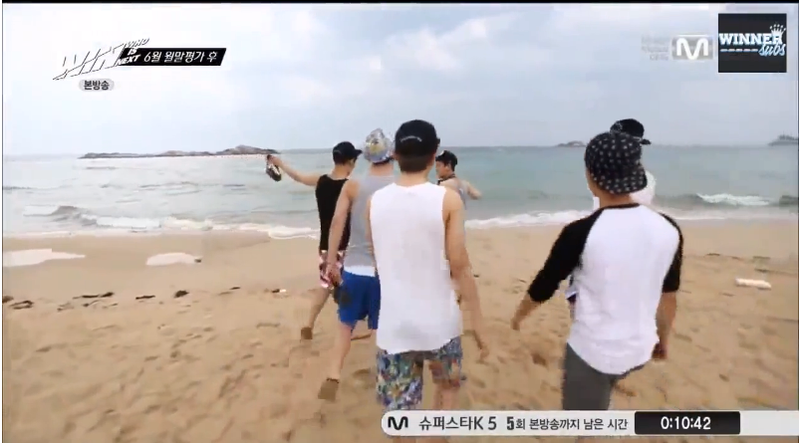 They talked about how Team B when they perform they have the feel that they are actually enjoying more. On the other hand Team A when they perform they have fear and desperation. I feel like that’s kind of an unfair situation to put them in because I feel like they have a lot more to lose than Team B. It could be the way that the PD’s are framing the show, but it doesn’t seem that way. 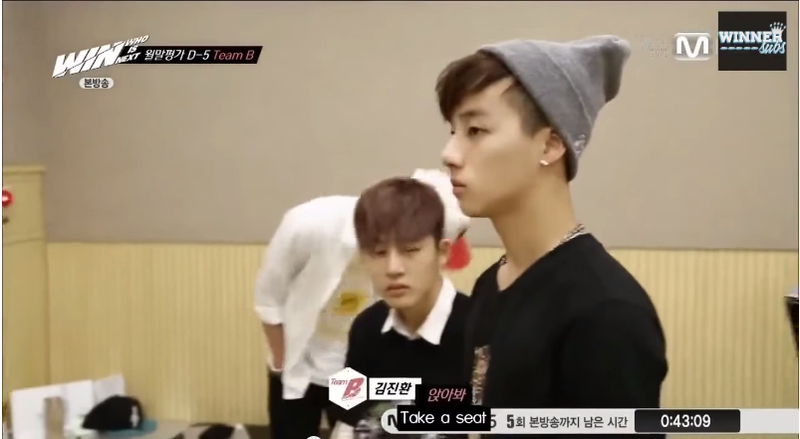 The PD’s showed that if Team B does lose then Bobby has to go back to America and Jin-Hwan will go back home to Jeju. Which has its own urgency, but for some reason Team A seems more desperate to win. It’s like this really is their last chance; I think its too much pressure, especially when they’re being filmed and judged by the audience. At this rate its going to take more than 100 days for them to get that attitude out of their minds. 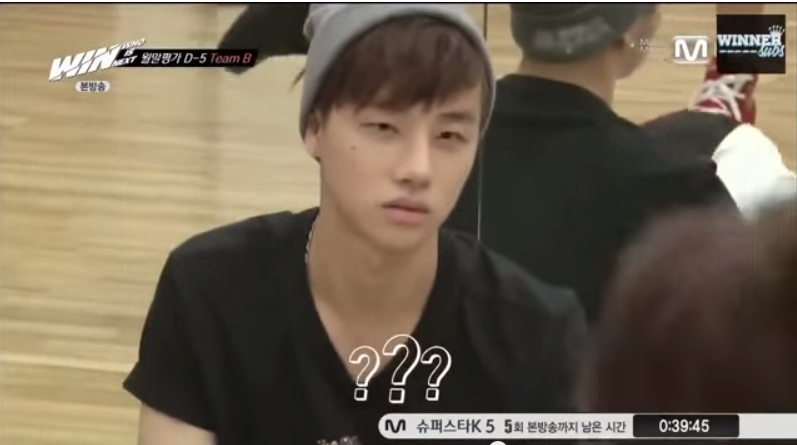 When YG talked about Jin-Hwan being similar to Taeyang (look and talent), I thought about the rest of the group. 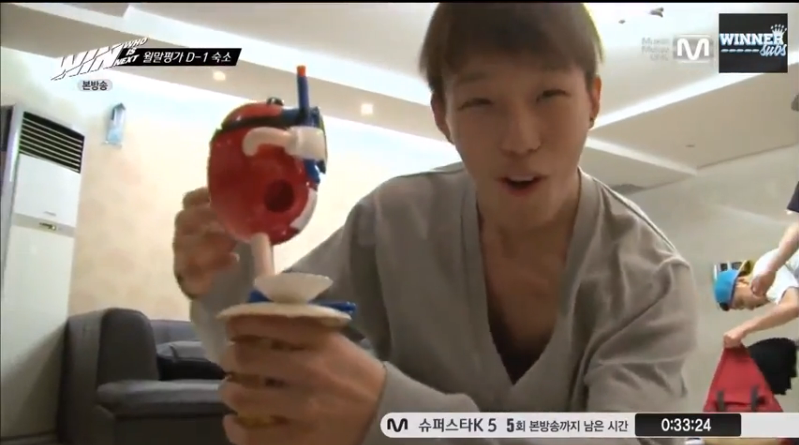 Bobby = Daesung, because he’s just so darn funny! Joon-Hwae = T.O.P, he looks so unique to me and he’s talented. Dong-Hyuk = Hyunseung, I’m not saying that he’s going to leave or anything. But I have a feeling if YG pulls a Hyunseung on this group, he’ll be the first to leave. I personally think that YG should start with something new. If we get a group that’s similar to Big Bang it’ll be really burdensome on them. For me, it’s not as interesting. Does anybody know if they’re going to allow international fans to vote? I think it’s really important especially if his goal for this group to be globally recognized. Plus I want to be able to vote for MY favorite group. 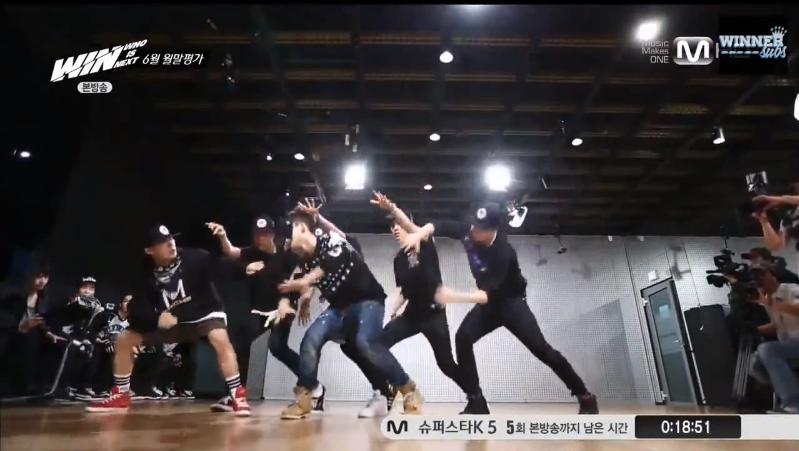 Next Episode features the legendary battle: JYP trainees vs. YG trainees.